I’m just a hummus making fool now! Yield: 8 servings. Per serving (about 1/3 cup)= 131 Calories; 7g Fat (46.9% calories from fat); 3g Protein; 15g Carbohydrate; 3g Dietary Fiber; 0mg Cholesterol; 197mg Sodium. It may not look like much but it tastes declicious! Yield: 8 servings. Per serving (about 1/3 cup)=101 Calories; 3g Fat (28.4% calories from fat); 4g Protein; 15g Carbohydrate; 4g Dietary Fiber; 0mg Cholesterol; 215mg Sodium. Spray skillet with cooking spray and cook potatoes until lightly browned. Add salt and pepper; then add sausage. 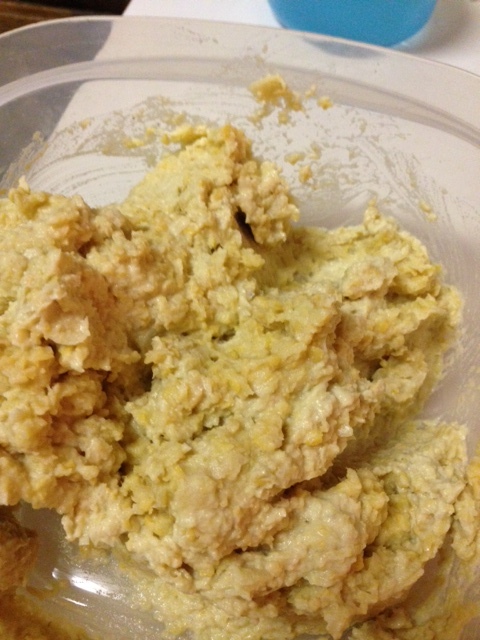 Add egg and egg whites; scramble. Top with cheese and serve. Yield: 2 servings. Per serving= 305 Calories; 14g Fat (41.3% calories from fat); 17g Protein; 27g Carbohydrate; 2g Dietary Fiber; 126mg Cholesterol; 693mg Sodium. 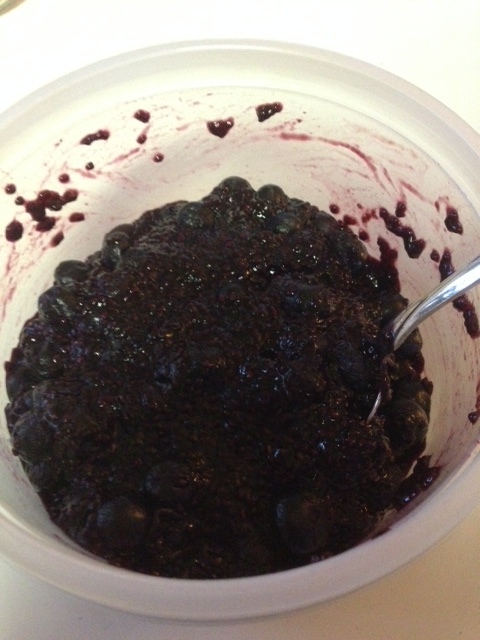 I used a 12 oz package of frozen blueberries and it turned out great! Combine berries and honey in a small saucepan. Cook over medium heat until berries begin to soften and burst, about 5 minutes. Add chia seeds and cook until very thick, about 15 minutes. Stir often. Remove from heat and let cool then add vanilla extract. Store in the refrigerator for up to 7 days. Makes 16 servings. Per serving (1/8 cup)= 50 Calories; 1g Fat (21.6% calories from fat); 1g Protein; 10g Carbohydrate; 2g Dietary Fiber; 0mg Cholesterol; 3mg Sodium. Preheat oven to 375*. Spray 13×9 pan with cooking spray. Place crescent roll dough in prepared pan. Bake 5 minutes. Cool crust. Meanwhile, in medium bowl, combine cream cheese, Splenda and vanilla. Spread over crust and top with preserves. Combine brown sugar, flour and melted margarine. Sprinkle over preserves. Bake 15-20 minutes or until crust is lightly browned. Yield: 12 servings. Per serving=156 Calories; 7g Fat (39.9% calories from fat); 2g Protein; 21g Carbohydrate; trace Dietary Fiber; 11mg Cholesterol; 275mg Sodium. In large saucepan, over med-hi heat, cook sausage, green pepper, and onion for 3-4 minutes; stir occasionally. Add tomatoes, okra, thyme, and cayenne. ring to a boil. Reduce heat to low; cover and simmer for 10 minutes, stirring occasionally. Add beans, heat through.